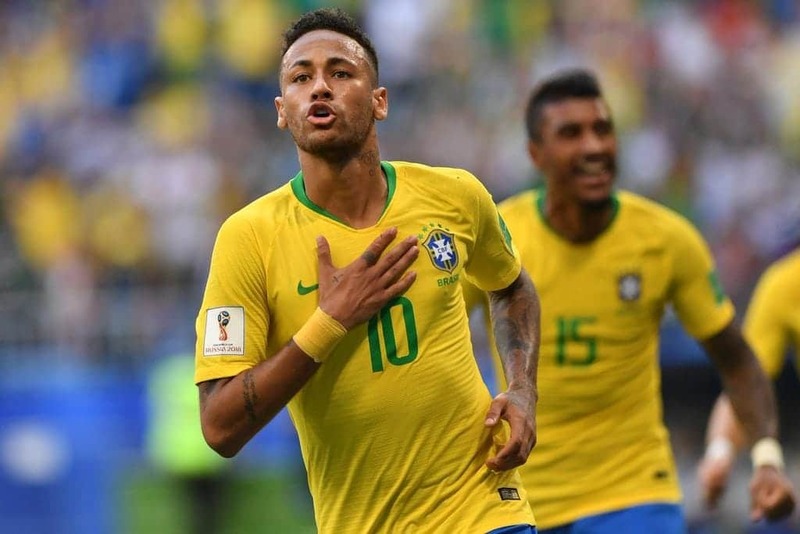 In the second quarterfinal match Friday, five times champions Brazil will take on Belgium at Kazan Arena, Kazan, Russia. The potentially explosive clash involving two attack-minded sides will kick-off at 9:00 PM Kenyan and will be preceded by the game between Uruguay and France. Yet, at Russia 2018, the Selecao’s current total of seven goals puts them fifth in the scoring charts, five behind the top team, Belgium. Indeed, the Red Devil’s return of 12 goals for and just four against is almost more Brazilian-like. As it is though, Brazil’s defensive marshal, Thiago Silva, has helped his side go 310 minutes without conceding, forming the meanest backline at the world finals, with just a solitary against so far. Only rarely have Brazil found the balance between controlled attacking and disciplined defending quite as well as they have so far in Russia. By way of contrast, the Belgians have proven to be vulnerable at the back. Nevertheless, with players like Romelu Lukaku, who sits second in scoring at this World Cup with four goals – and Eden Hazard, they have also shown themselves to be capable of scoring or creating something at any given moment. It is for nothing that they are labeled the country’s golden generation. Can they get the better of the five-time world champions in Kazan and move into the last four? Doing so would mean Belgium winning a fifth consecutive World Cup match, which would set a new national record. The first and only time the sides previously met at the global showpiece was in the last 16 in 2002 when goals from Rivaldo and Ronaldo earned victory for the Brazil team that would go on to lift the title. That is a result that current playmakers, Neymar and Philipe Coutinho, who have each been directly involved in three goals already, would no doubt be more than happy to emulate. Since USA 1994, Brazil have always reached the quarterfinals of a World Cup. In 1994 and 2002, they were crowned champions, while they finished as runners-up in 1998.